For all of India’s claims of being an IT superpower, its own engineering graduates are in surprisingly low demand. Only 40% of Indian BE and B.Tech graduates were able to find jobs through campus placements last year, AICTE data has revealed. And last year wasn’t one-off — over the last five years, the number of graduates managing to find jobs while in college has consistently stayed below 50%. 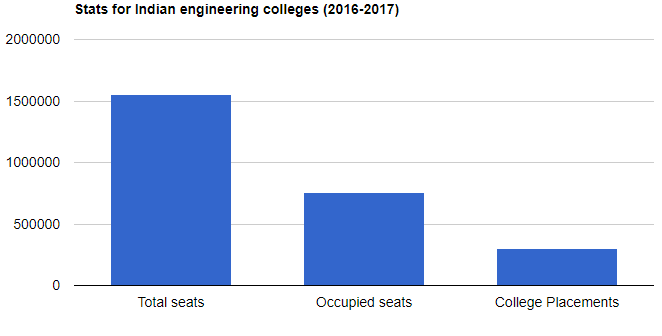 This piece of data is particularly surprising given that India is already producing far fewer engineers that it potentially can. Of the 15.5 lakh engineering seats available across the country in 3,291 engineering colleges, 51% were vacant in the 2016-2017 session. But even these graduating engineers were unable to find jobs through their own colleges. It’s a sorry situation for India’s technical education landscape to be in, but this problem was a long time coming. In the 90s, fueled by demand from IT companies such as Infosys and TCS, the number of engineering colleges shot up in the country. 87,000 B.Tech and M.Tech seats were available in 1990-91; the number now stands at 16.28 lakh, an 18x increase. For a while, this increase was justified — IT majors were lapping up all available engineering graduates, and providing them with stable, middle-class jobs. But thanks to growing automation and a general slowdown, India’s IT industry isn’t hiring graduates at the rates it once was. This has meant that fewer Indian students now aspire to become engineers, leading to the lakhs of empty seats across engineering colleges. And even the ones that do end up finishing their courses are unable to find any jobs through their institutions. They must then enter the open market and look for employment. As they are added to the existing pool of available engineers, they end up depressing salaries for engineers that are already employed. 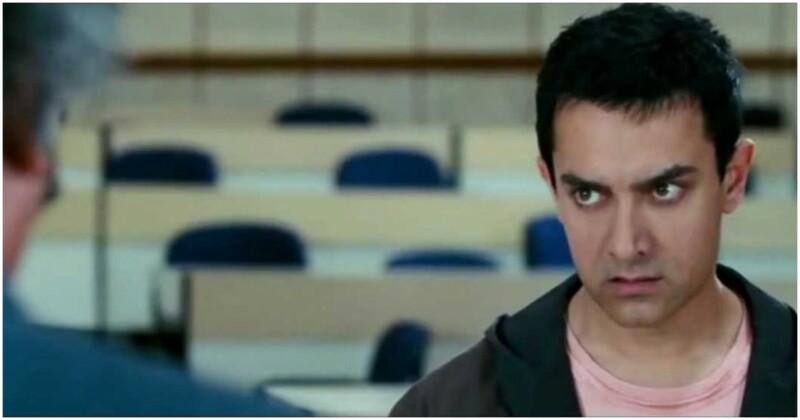 But the worst hit are probably engineering colleges, which had tried to cash in on the IT boom. Faced with high vacancies, many are shutting up shop. Even AICTE is helping matters along, and considering asking colleges with 70% or higher vacancies over the last five years to shut down. And with machine learning and AI threatening to make even existing engineers unemployable, things don’t look like they’ll improve anytime soon.